It has been my experience that historical fiction falls into two readily discernible categories. The first subset adds some element of fiction or liberty taking to real people, places, or events. Alternatively, historical fiction can look to history as an inspiration for an original world. The latter of these two approaches has always struck me as the more difficult proposition. If an author draws too much upon a history that is known to a reader, then they risk losing the uniqueness of their fictionalized setting. In such a situation, inspiration can often be perceived as appropriation, which is arguably an anti-creative activity. While I wouldn’t make a case for a lack of creativity within River of Stars, I did find the novel representative of a conflict between these two competing artistic impulses. On the one hand, Mr. Kay has shaped the pre-modern civilization of Kitai with the hands of a master. No stone is unturned as he details the art, cuisine, flora, politics, tea, social anxieties, and internal history of twelfth dynasty of Kitai. Within this world, the respective stories of Ren Daiyan, the second son of an office clerk from the fringes of the empire, and Lin Shan, the educated daughter of a court gentlemen, should run in parallel to the prose’s desire to shape a setting. Yet, they do not. It takes two hundred pages before Daiyan and Shan even begin to feel like the main characters of this story. In the interim they, and almost the entirety of the Dramatis Personae, function as component parts of a larger machine whose sole purpose is to illustrate the decadence of Kitai. Robust as the characters eventually prove to be, they never feel equally important to the narration’s attempt to convey a sense of place. 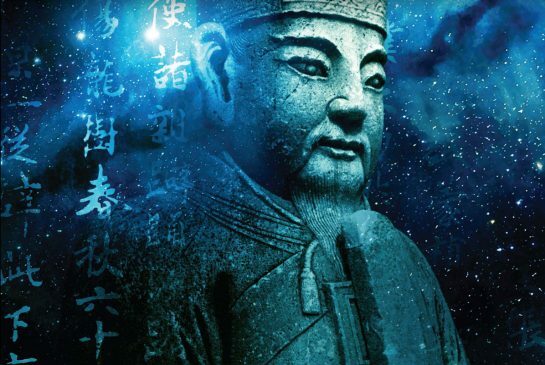 Splendid as Kitai may be as an artistic creation, Mr. Kay does little to let his fictional empire stand out as unique when compared to the actual history of Imperial China. Kitai is situated as a large nation with its Eastern flank to the sea. The North of Kitai boasts a “long wall”, built during Kitai’s glory days though since ruined, as a means of separating the civilized nation from the barbarian horsemen who populate the bordering steppe. In finer points, Kitai mirrors China right down to its volatile and highly nuanced civil service. Fascinating as these details may be, I do question why the author would devote such time to reinventing the wheel in terms of setting. Why not just set the story in China? What is gained by spending so much time building a world that, to varying degrees, already exists within the reader’s mind? As much as I can appreciate the labour which went into crafting an archaeology for Kitai, there are moments when the prose seems to exist simply to justify the vast research which went into it. For a PhD dissertation this is well and good, in a novel my interests are more focused upon the originality of the conflict. 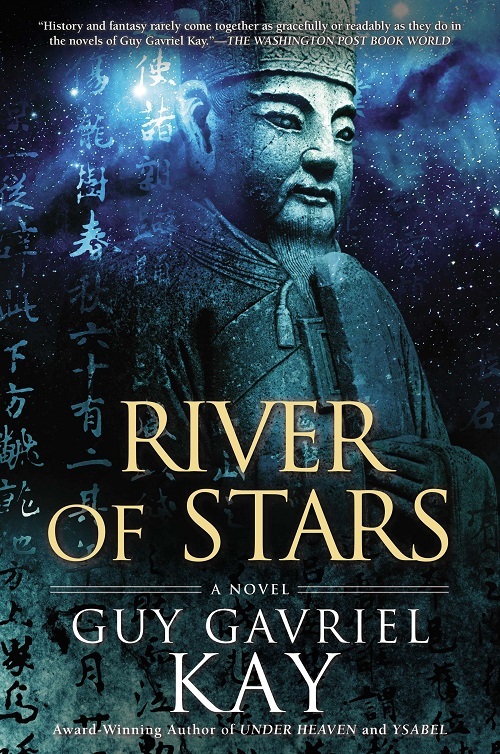 In the novel’s afterward Mr. Kay states that, “River of Stars is a work shaped by themes, characters, and events associated with China’s Northern Song Dynasty before and after the fall of Kaifeng.” On characters, the author further says, “I am significantly more at home shaping thoughts and desire for Lin Shan and Ren Daiyan…than I would be imposing needs and reflections on their inspirations.” What then emerges out of this mandate is an attempt to use an imagined place to convey a fictionalized history of real people, albeit people whose whole history has been lost to time. As a result, the narrative voice takes on the tone of a chronicler, keen to record everything and let the future decide what is noteworthy. Such a chronological method is a double edged sword. It allows Mr. Kay to create a fully realized world in River of Stars, but it is the worst offender in terms of subordinating the characters to Kitai’s broader history. Perhaps then I am somewhat disadvantaged for not having read Under Heaven, the spiritual predecessor to River of Stars. Because, I simply don’t care enough about Kitai to watch it overpower the people who live within it. Nowhere is this reality better seen than in an ending which effectively nullifies the hero’s quest, leaving him an utter failure in his own eyes. The tragedy of Ren Daiyan becomes anti-legendary in its telling. 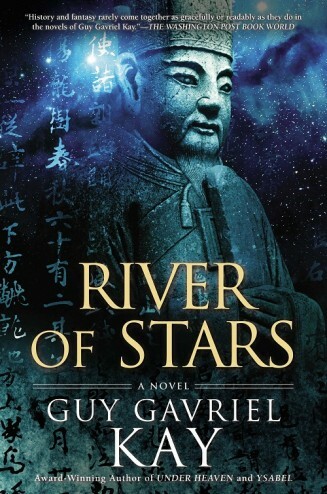 Where traditional legends witness society elevating great individuals, River of Stars does the opposite. Mr. Kay subjects Ren Daiyan to the state demonstrating that there is no room for greatness within an officious bureaucracy. This is an interesting message in and of itself. The fact that it is filtered through the lens of Kitai, and not the reality of Song China, somewhat diminishes, rather than accentuates, the value of the subtext in my eyes. We can see something similar in the author’s treatment of Lin Shan. As an educated woman, Shan is the consummate outsider to Katai’s polite society. She is literate, artistic, and abhors the physical and social treatment her gender receives at the hands of courtly etiquette – for example Kitai, like China, embraces the practice of foot binding. By the end of the story Shan dies under the shadow of the nation in which she lives, not as an agent of change, but as a primary source/poet. Like Daiyan, Shan never sees the world as she would want it to be made. Kitai is a monolith, and the internal legacy of Shan’s works are a monument not to herself but to Kitai. Emerging out of this point is an interesting discussion on the role of a great individual within society. Can people of note live and die as individuals, regardless of the era in which they dwell, or will some political entity always appropriate them as a symbol of collective majesty? Bearing in mind the novel’s themes, I would suggest that Mr. Kay’s answer to the above question is a clear negative. In that light, River of Stars, though meticulously crafted, is something of a fatalistic read. Kitai’s Emperor receives his mandate from heaven and that mandate is to survive from epoch to epoch, nothing more. Though the novel features great people, their works are secondary to Kitai. Kay is certainly thorough in using fiction as a lens to view the past, yet a tendency toward exposition leaves the novel feeling somewhat uneven in its pacing. It is atypical of what I expect from historical fiction, but compelling as a tragedy if nothing else.